Our wide range of all-inclusive services and amenities add to your enjoyable summer vacation or winter getaway at our Alpenfex holiday apartments in Flachau: WiFi is available to you for free, if you wish you can park your vehicle in our underground garage, you are welcome to wash and dry your laundry for a small additional charge,… Numerous services are also available to you at our partner businesses: In- and outdoor children’s world at Restaurant Jagdhof (right next door), modern wellness oasis at Hotel Alpenwelt (60 m) with a selection of saunas, big relaxation room and own sauna bar. Due to the top location of our holiday apartments in Flachau, you can reach all the important places on foot – you will rarely need to use your car. Take advantage of free WiFi in our holiday apartments. You are welcome to use our washing machine and dryer for a small additional charge of € 5. Each apartment has one parking space in the underground garage, available to you for a small fee. You can also find free parking and shelters for motorbikes in front of the house. Feel free to deposit your sporting equipment in our bike- & ski cellar, which also provides a dryer for your boots. Dear Kids & Teens! 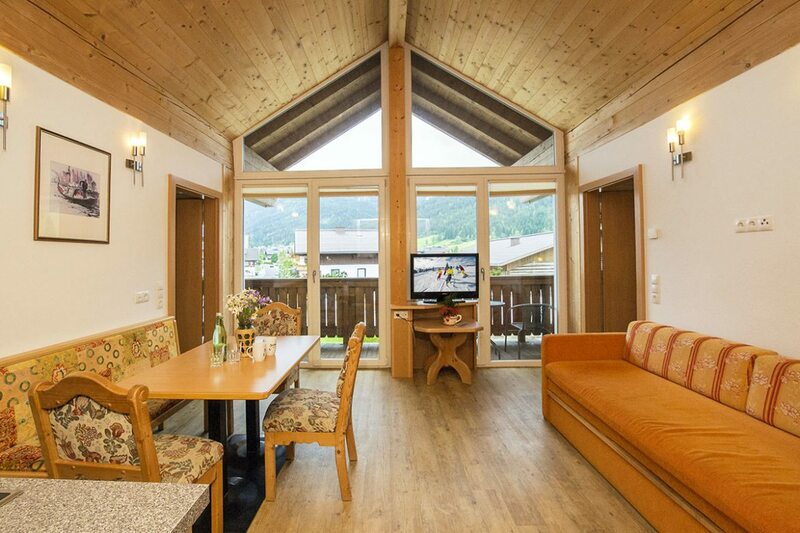 It’s time to head to our partners at Restaurant Jagdhof – located right next to the Alpenfex apartments! Here, younger guests will find a children’s playroom with giant Softplay center and ball pit, push-cars, slides, a climbing wall, DVD player with movies,… In summer, there’s lots to discover in front of the restaurant, too: trampoline, go-carts, children’s bicycles, road-train rides, bouncy castle and more. The valley station of the Achterjet lift is located just 700 m away. The stop for the ski bus is only about 60 m from our house. You will be able to access the cross-country trail just 10 m from our house, while the bike path is only 50 meters from here. 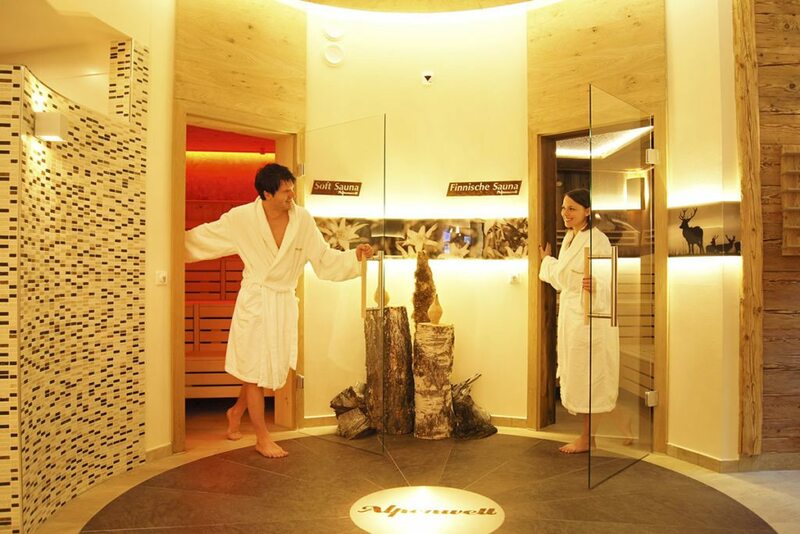 As a guest of the Alpenfex, you receive a 10 % rebate on rental equipment. You are welcome to use the ski & boot depot at the Achterjet valley station for free. In addition to your stay, you are welcome to book breakfast-roll delivery, a lavish breakfast buffet as well as half-board at Restaurant Jagdhof, located right next door. Whatever best fits in with your holiday plans, you decide what you want, when you are here, from one day to the next.